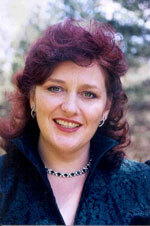 Miss Wyn-Rogers works extensively in recital and oratorio, appearing with the major British orchestras and choral societies and at the Three Choirs, Edinburgh and Aldeburgh festivals and at the BBC Proms, where she was a memorable soloist at the Last Night in 1995. She is equally renowned for her performances with period-instrument orchestras. Her recent engagements have included appearances with the Philharmonia under Slatkin, the BBC Symphony Orchestra under Haitink and Andrew Davis, the Netherlands Radio Orchestra under Rozhdestvensky, the European Union Youth Orchestra under Haitink and her debut with the Vienna Philharmonic Orchestra under Norrington. She appears regularly on the opera stage and is a regular guest artist with English National Opera; the Royal Opera House, Covent Garden; and with the Bavarian State Opera, Munich. She has worked with Scottish Opera, Welsh National Opera, Opera North, the Semperoper, Dresden, the Bordeaux Opera, the Teatro Real Madrid, the Netherlands Opera and the Salzburg Festival. Catherine Wyn-Rogers’ numerous recordings include many for Hyperion, from Schubert songs to choral works by Bruckner and Vaughan Williams.